Meghan Markle could be the one running her and Prince Harry’s Instagram account and not the royal couple’s staff. Some of the signs pointing out to this possibility have just been revealed. 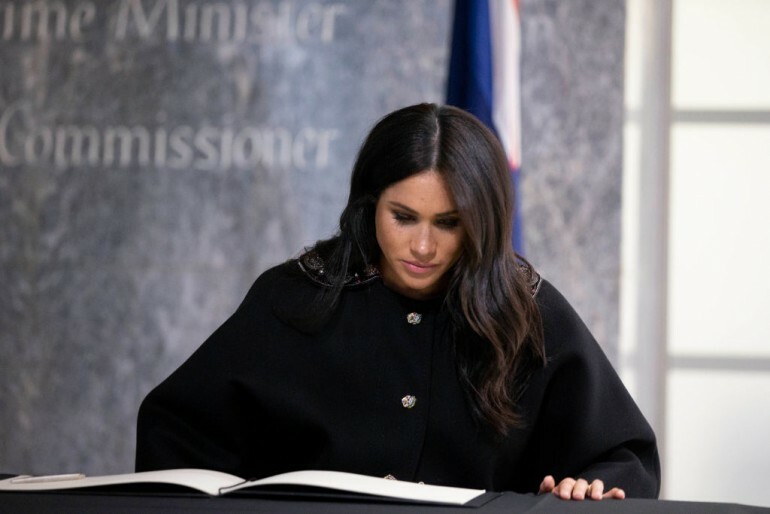 In their most recent post, the Duke and Duchess of Sussex thanked the members of the public for all of their donations to the various organizations that they have teamed up with recently. In lieu of gifts to their baby, Meghan and Prince Harry encouraged their supporters to donate to four different charities. The caption of the post featured the American spelling of reenergized, as opposed to the British spelling of the word. Whoever wrote the caption also used a dollar sign and not the British pound sign and referred to nappies as diapers. According to Hello! Magazine, it wouldn’t come as a surprise to the public if they find out that Meghan is really the one behind the posts on their Instagram account. Before becoming a member of the royal family, Meghan had her own Instagram account and also had millions of followers. The “Suits” alum is also on maternity leave at the moment, which gives her some time to just relax at home. Having extra time every day could allow Meghan to update her and her husband’s Instagram account every now and then. However, members of the royal family usually have at least one person posting on their behalf on their social media accounts. In instances wherein a message comes from a royal, the post is usually signed with that royal’s initials. Meghan and Prince Harry announced that they have their own Instagram account just weeks ago, and they have already garnered 4.6 million followers. In their recent post, the couple also referred to their child as Baby Sussex for the first time ever. “And on behalf of the Duke and Duchess (and Baby Sussex), we thank you so much,” the caption read. Meghan and Prince Harry went on to enumerate all of the donations they received for Baby2Baby, Well Child, Little Village HQ and the Lunch Box Fund before thanking those who supported them again.